Wed., July 1, 2009, 1:59 p.m.
Any watercraft transported into Idaho is required under a new law to stop at an invasive species inspection station. The location of those stations was just posted on the state Department of Agriculture Web site around noon on Wednesday. • Oldtown weight station on Highway2, milepost 2. • Heutter Rest Area off I-90, Milepost 85. 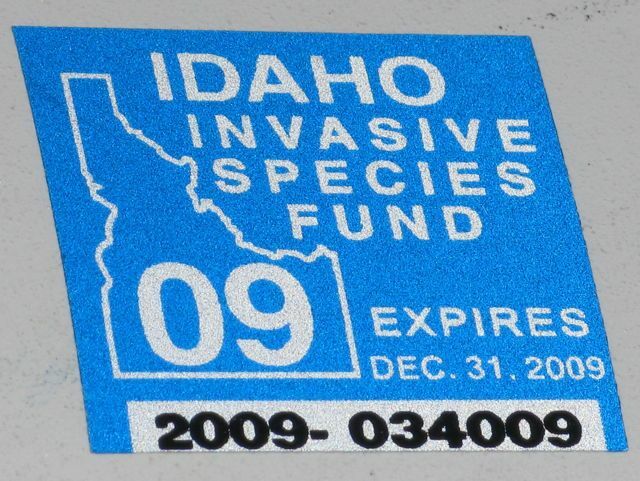 Also new this year, boats on Idaho waters – even kayaks and canoes – must have a special invasive species sticker. Exception: Inflatable, non-motorized vessels less than 10 feet long. The stickers are available at State Parks offices. For convenience, buy one online at parksandrecreation.idaho.gov. Print the receipt and carry it in the boat to satisfy the requirement until the sticker arrives in the mail, said Parks and Recreation officials in Boise. Published: July 1, 2009, 1:59 p.m.